The water supply in rural areas is becoming increasingly problematic. especially children, in the Tabora Region of Tanzania. £60 a year for Secondary Education? In the EU we consider Secondary School Education to be a right. Children in third world countries are not so lucky. 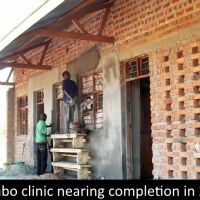 The Friends of Urambo and Mwanhala is a small charity working in the Tabora Region of Tanzania, specifically in the Districts of Nzega, Sikonge and Urambo. We are an association of friends who each give money to support our projects in Tanzania. From time to time we receive support from other organisations to help with specific projects. We are concerned with advancing the development of the people of the Tabora Region and also with educating people in the UK, including how they can become involved. To that end we not only provide funds for projects in Tanzania but also facilitate visits to Tabora Region by professionals, student groups and individuals. FUM has operated in the Tabora Region for more than fifty years and has developed a good working relationship with the Tanzanian Government. The Regional Commissioner, Tabora is one of our two presidents and the district authorities have appointed FUM coordinators in each of the districts. Our Jubilee Appeal closed after reaching its £50,000 target at the end of 2017. 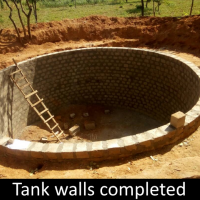 In 2018-19 the focus will be on raising £15,000 to provide staff housing and a reliable water supply at Ibambo Health Centre in Kaliua District. We have again been awarded a Charity place. 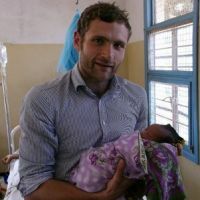 Our runner is Alex Crews, Assistant Head at Cranbrook School where students have been visiting and supporting the people of Tabora Region since 1984.